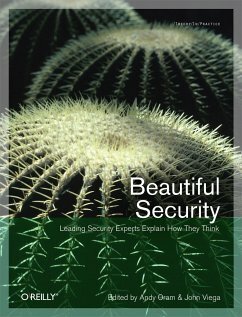 In this thought-provoking anthology, today's security experts describe bold and extraordinary methods used to secure computer systems in the face of ever-increasing threats. 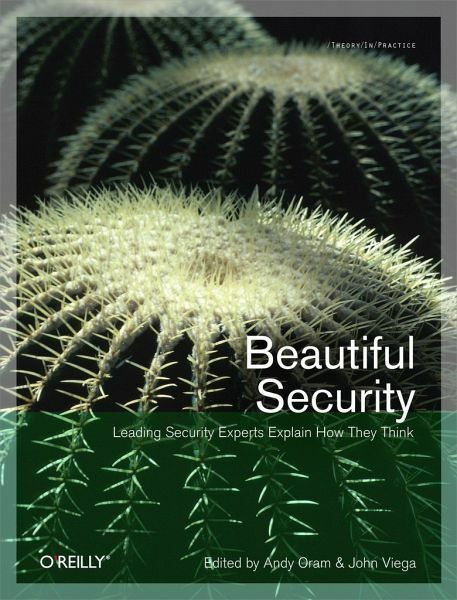 Beautiful Security features a collection of essays and insightful analyses by leaders such as Ben Edelman, Grant Geyer, John McManus, and a dozen others who have found unusual solutions for writing secure code, designing secure applications, addressing modern challenges such as wireless security and Internet vulnerabilities, and much more. Go beyond the headlines, hype, and hearsay. With Beautiful Security, you'll delve into the techniques, technology, ethics, and laws at the center of the biggest revolution in the history of network security. It's a useful and far-reaching discussion you can't afford to miss. Although most people don't give security much attention until their personal or business systems are attacked, this thought-provoking anthology demonstrates that digital security is not only worth thinking about, it's also a fascinating topic. Criminals succeed by exercising enormous creativity, and those defending against them must do the same. Beautiful Security explores this challenging subject with insightful essays and analysis on topics that include: * The underground economy for personal information: how it works, the relationships among criminals, and some of the new ways they pounce on their prey * How social networking, cloud computing, and other popular trends help or hurt our online security * How metrics, requirements gathering, design, and law can take security to a higher level * The real, little-publicized history of PGP This book includes contributions from: * Peiter "Mudge" Zatko * Jim Stickley * Elizabeth Nichols * Chenxi Wang * Ed Bellis * Ben Edelman * Phil Zimmermann and Jon Callas * Kathy Wang * Mark Curphey * John McManus * James Routh * Randy V. Sabett * Anton Chuvakin * Grant Geyer and Brian Dunphy * Peter Wayner * Michael Wood and Fernando Francisco All royalties will be donated to the Internet Engineering Task Force (IETF). Andy Oram is an editor at O'Reilly & Associates, specializing in books on Linux and programming. Most recently, he edited Peer-to-Peer: Harnessing the Power of Disruptive Technologies.